Please join us on February 18th at 7:30 P.M. in Meany Theater! 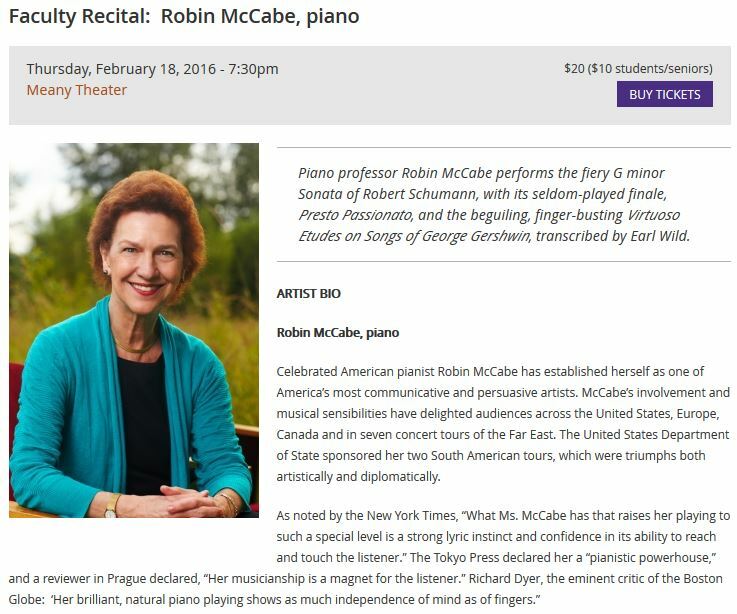 Mortar Board alum and international concert pianist Robin McCabe will play the fiery G minor Sonata of Robert Schumann, with its seldom-played finale, Presto Passionato, and the beguiling, finger-busting Virtuoso Etudes on Songs of George Gershwin, transcribed by Earl Wild. We hope to see you there!